Emma McBride Latsos, 94 of Jessieville originally from Shreveport, LA. born on September 8, 1924, passed away Monday, April 8, 2019, surrounded by family. Survivors include her two sons Richard (Mary) Latsos of Shreveport LA, Bill (Linda) Latsos of Hot Springs AR, and one daughter Linda (Tommy) Davis of Jessieville, AR. Nine Grandchildren; Kristi Williams, Renea Scott, Valeria (Rick) Stacks, Gail Abernathy, Karen Latsos, Natalie (Jade) Smith, Lisa (Jamie) Austin, Ronnie Latsos, Russell Latsos, sixteen Great Grandchildren, nine Great Great Grandchildren, many nieces, nephews, and friends. She was predeceased by; Parents William and Sara McBride, husband of 52 years Christie G Latsos, Brother, Bill McBride, Sister, Mary Lou Arnold, Sister, Polly Cordaro, Sister, Eunice Cardone, and Brother, J.P. McBride. Emma's love was always for her family. She put family first in all situations. 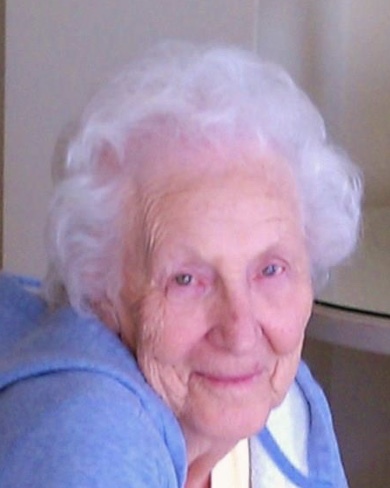 Emma loved her children, grandchildren and her "greats" more than life itself. Everyone called her Granny not only because that was her request, but because she made everyone feel welcomed, loved, and immediately accepted into her family, and they wanted to be a part of such love and kindness. Granny was asked several times what her secrets to a long life was and her response was always the same, "be happy and enjoy a 5 o'clock somewhere." Granny brought joy to everyone she met. She never met a stranger and has made many friends across the country. Emma was part owner of Thrifty Mart in Mt. Ida for over 30 years. She was an avid reader and enjoyed modern technology using her IPad. She read the Bible daily and enjoyed spreading the word of God. One of her favorite activities included traveling where she could enjoy the beauties of outdoor life. A celebration of Emma's life will be determined at a later date.